How to Lower A1c Quickly – At the time of my diagnosis, my glycated hemoglobin (HbA1c) was 18%. Suffice to say that I come back from far away … The goal of the game for me was to lower this HbA1c every visit to the diabetologist. Currently, I maintain my HbA1C between 6.5% and 7.2%. As you know, the measurement of our glycated hemoglobin ( glycated hemoglobin (HbA1c), what is it? ) Gives us the average of our blood glucose over the last 3 months. The value of our HbA1c is very important for monitoring our diabetes. However, it is more difficult to manage than the value of our blood glucose. Indeed, blood glucose can be corrected quickly by fast insulin or a sports session for example, while the HbA1c cannot be changed quickly. The only way to improve our HbA1c is to adopt good habits over the long term. Here are 6 tips to help you control your HbA1c over time. Monitor the amount of carbohydrate you eat each day. We know that diet plays an important role in the management of diabetes. Some foods we eat release more carbohydrates than others. This is called index and glycemic load. It is therefore very useful to know or refer to the indexes and/or he glycemic load of foods in order to choose foods based. Indeed, during the day the blood sugar level varies according to the activities and meals. 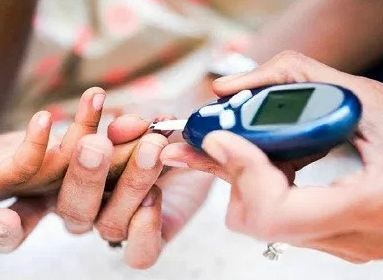 To better manage the peaks of blood sugar and correct them quickly, it is useful to measure several times its blood glucose during the day. It is recommended 4 measurements of blood glucose spread from wake up to bedtime. By numbers, I mean our blood glucose values, our latest HbA1c values, our insulin doses, etc. It is important to know but especially to understand his figures in order to act accordingly. We must understand the impact of certain foods or meals, treatment or our activities on our blood glucose to correct at first and anticipate, as far as possible, in the second time. We know that physical activity has a positive impact on our blood glucose levels. Indeed, physical activity helps to lower blood sugar. During a physical activity, our muscles consume the carbohydrates present in our bloodstream in order to be able to generate the repetition of the movements of our members. As diabetes is a complicated and complex disease, it is important to know what is happening in our body in the short term but also in the long term. It is also important to understand the treatment, the examinations required, and the roles of each worker. The better we understand his illness and the better our care. Next post Does Ginger Ale Help Acid Reflux?